Energy regulator Ofgem has published an eagerly-awaited report into the state of the energy market in the UK. It gives the big six suppliers a relatively clean bill of health, saying that they were not colluding on price and that the market is working well for most consumers. But it also highlights some concerns for consumers switching suppliers, the difference in prices for those paying in different ways, and deals for those with no gas supply. Here are some key questions that were covered by the report. Is the energy market competitive? The British gas and electricity markets were opened to competition 10 years ago and price controls were removed six years ago. Six suppliers now dominate the market - Npower, EDF, British Gas, Scottish Power, Scottish and Southern Energy, and E.On. The probe found that there was no cartel or price-fixing involved between these companies. But watchdogs such as Consumer Focus say that it does not take collusion for these six to have similar prices. Is it easy for me to find a cheaper deal? Consumers are generally switching their deals regularly, compared with other energy markets across the world. The 18% annual switching rate is higher than the level at which UK consumers switch mobile phone suppliers, insurance products or mortgages. But Ofgem says more people need help in switching and more information should be available for them to compare costs. It says there should be an annual statement on people's bills. Up to a third of switchers may not even see their bills fall following a switch. 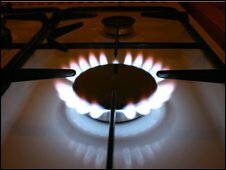 Ofgem says that it is "concerned" about the temporary nature of some offers listed on price comparison websites. Are there any shocks in the report? Yes, it reveals that 4.3 million people with no access to the gas supply cannot get some of the best electricity deals. This is unfair, Ofgem says. These households typically pay £55 more a year than others. In addition, they may have higher heating costs because they use fuels such as oil. Consumers in Scotland and Wales are disproportionately affected by this, because rural customers are the most likely not to be connected to the gas grid. They are also least likely to be visited by salespeople offering cheaper deals. Ofgem chief executive Alistair Buchanan says that this finding was so important, and such a surprise, that it justified the report being done. These consumers are being "short-changed", he says. Ofgem says that there is concern over unfair price differences between those paying in different ways. The regulator says that "different payment types must be cost-reflective". A lot of attention from the regulator, watchdogs and politicians has been focused on the premium paid by those with pre-payment meters. About 12% of households pay one fuel bill on a pre-payment meter, although this increases to 37% of those in social housing. In 2005, they paid £80 more, on average, than direct debit customers. By the beginning of 2008, this had risen to £125, but this has since dropped back to £118. Ofgem says that the cost of servicing a pre-payment meter is £85 a year, and so customers should pay no more extra than that. Notably, those paying by cash or cheque each quarter paid £40 more a year than those on direct debit at the start of 2005. Now the figure is £80. Suppliers have some extra credit costs with these customers, but Ofgem says it should not charge extra to "good" customers to cover those who fail to pay. But the National Housing Federation says the lack of compulsion to make changes on this subject means that the report does not go far enough. There is an eight-week consultation with the industry - which is a relatively fast turnaround. If the suppliers do not make changes very quickly, then Ofgem could take the decision at the start of next year to refer the situation to the Competition Commission. This would mean another investigation and a wait of up to two years for a result.